Teams that compete in the annual Solar Decathlon Design Challenge must create residential or commercial building designs over one or two semesters. Designs are evaluated on how well they meet the nation’s rapidly evolving demand for buildings that are innovative, cost-effective, quick to build, high-quality, resilient, grid-interactive, efficient, and locally responsive. Teams choose one of six building type divisions in which to compete. Six winners—one from each division—are determined by juried evaluation across all 10 contests and awarded with trophies at the annual Design Challenge Weekend. A Design Challenge Grand Winner is also selected from the pool of six winners and provided with a special award. Learn more about the individual jurors by division below, or learn how the jurors evaluate projects in the Solar Decathlon Competition Guide. Sheila J. Hayter, P.E. is ASHRAE's 2018–2019 President. ASHRAE is a global society advancing human wellbeing though sustainable technology for the built environment by focusing on building systems, energy efficiency, indoor air quality, refrigeration, and sustainability. 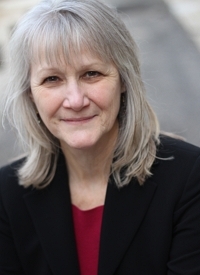 Sheila is also a research advisor with the Integrated Applications Center at the U.S. Department of Energy’s National Renewable Energy Laboratory (NREL), where she has worked since 1992. While at NREL, Sheila has led a team of experts who support international, federal, state, and local entities with the goal of significantly reducing nonrenewable energy consumption through optimized use of energy efficiency strategies and renewable energy technologies, as well as addressing challenges to increase resiliency in the built environment. 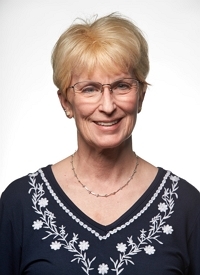 Finally, Sheila was a member of the original Solar Decathlon Organizing Committee and was responsible for leading the subjective judging component of the 2002, 2005, and 2007 competitions. Timothy McDonald received his Bachelor of Architecture degree from Pennsylvania State University and his Masters of Architectural History and Theory from McGill University. 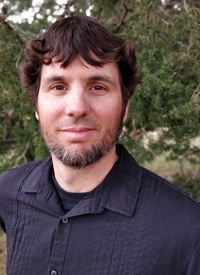 He has practiced in Japan, Canada, and the United States; is a Registered Architect in Pennsylvania, New Jersey, and Massachusetts; Leadership in Energy and Environmental Design® (LEED) AP, Certified Passive House Consultant and Tradesman (CPHC); and President of Onion Flats, LLC, an award-winning development/design/build collective centered in Philadelphia. He has been teaching and practicing for more than 20 years with a focus on community development, multidisciplinary thinking, and making high-performance building technologies and alternative construction methodologies. Through his research and practice, Tim, along with his partners at Onion Flats, has developed, designed, and built some of the first LEED Gold and Platinum projects in the country, and the first certified passive house, net-zero-energy-capable project in Pennsylvania. 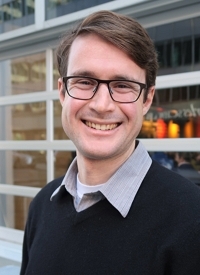 In 2014, Tim initiated a research project in collaboration with Pennsylvania Housing Finance Agency to develop a net-zero-energy-capable building standard for all affordable housing in the State by 2030, and is actively promoting this initiative with housing finance agencies in 39 other states while simultaneously designing, developing, and building his own multifamily, net-zero-energy buildings in Philadelphia. Rusty Smith is the Associate Director of the Rural Studio, Auburn University’s internationally recognized design-build program. Established in 1993, the Rural Studio gives architecture students a hands-on educational experience while assisting the underserved communities of Alabama’s rural Black Belt delta. The students work in partnership with their neighbors in the local community to define solutions, fundraise, design, and ultimately build remarkable projects. In its initial years, the Rural Studio first became known for establishing an ethos of recycling, reusing, and remaking. Over the past decade, the Rural Studio has expanded the scope and complexity of its projects to include the design and construction of community-oriented infrastructure, the development of more broadly attainable small home affordability solutions, and a comprehensive approach to addressing insecurity issues relative to income, energy, food, health, and education resources. Altogether, the Rural Studio continually questions what should be built, rather than simply what can be built. Diana Fisler received her bachelor's degrees in physics and geology at the University of Massachusetts, combining these two areas of study with a Ph.D. in geophysics from Pennsylvania State University. She joined Johns Manville in 1998 as a glass chemist, developing new glass chemistries for improved production efficiency. She researched new binders for fiber glass, led the Johns Manville product testing laboratories, and served as platform leader in environmental construction, developing new products and cost savings for commercial roofing products, all while overseeing a team of engineers and scientists and influencing stakeholders in multiple internal business units. 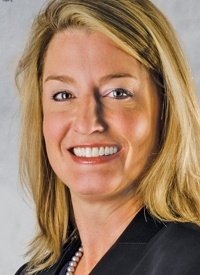 In her current role in the innovation group, she is responsible for delivering new business opportunities for Johns Manville in a variety of industries; investigating sustainable technologies and businesses; representing Johns Manville at sustainability and green building organizations; and providing expertise at controlling heat, moisture, and air flow through the building envelope. Wayne Kraft is a Research Engineer in the Advanced Solutions group for Ingersoll Rand's Residential HVAC & Supply business unit. As a Research Engineer, he leads projects developing new solutions for residential HVAC products in the areas of airflow systems, heat exchangers, controls, and HVAC systems. Wayne began his career in 2008 and has held roles supporting and leading computational fluid dynamics analysis for residential HVAC product development. In 2012, Wayne began focusing on new technology development as an Advanced Solutions Research Engineer. Wayne graduated from Texas A&M University with a Bachelor of Science degree in mechanical engineering in 2001. He continued his education at Texas A&M University receiving both a Master of Science and Doctor of Philosophy in mechanical engineering, specializing in thermal and fluid sciences. 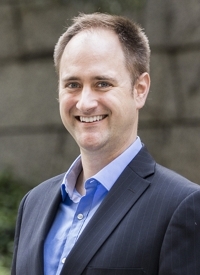 Scott Sanders is the CEO of BrightLeaf, a Chicago area housing solutions company that develops, builds, and sells single-family and small-multifamily custom and speculative homes. BrightLeaf Homes is a 100% committed partner to the Zero Energy Ready, Energy Star®, and Indoor airPLUS certification programs and has built exclusively high-performance homes since it started in 2013. Scott's past experience with two production home builders has contributed to BrightLeaf's steadfast focus on building process and has been complemented with the organization's entire leadership team working together to create BrightLeaf's client experience program for cultivating delighted, raving fans. Ray Tonjes is the President and founder of Ray Tonjes Builder, Inc., a homebuilding company based in Austin, Texas, which specializes in mainstream, sustainable, and high-performance custom homes and renovations. In 1985, he became one of the first “Austin Energy Star” builders in Austin as part of their initial aggressive energy conservation program. This program evolved into the nation's first Green Building Rating System (established 1991). Ray was a founding member of the National Association of Home Builders (NAHB) Sustainability & Green Building Subcommittee (SGBS) in 1999. During his tenure as Chairman, from 2001–2008 and 2017–2018, the NAHB Model Green Home Building Guidelines were developed. First published in 2005, these guidelines were the basis for the development of the National Green Building Standard. Ray was the founding Director/Chairman of the Board (2004–2014), of the Green Building Initiative (GBI), a national non-profit. Based on its Green Globes Environmental Design and Assessment Rating System for New Construction, the GBI created ANSI/GBI 01-2010 Green Building Assessment Protocol for Commercial Buildings. Ray is the current Chairman of the SGBS and continues to advocate at all levels for increased energy efficiency and participation in green building programs. Richard (Rick) S. Duncan brings more than 20 years of experience in technical marketing, building science, and product development and product management to deliver new materials and applications to the construction market. Drawing from previous experience as an engineering professor at Bucknell University, Rick simplifies complex building envelope issues and clearly describes solutions for wide-ranging audiences, including design professionals, code officials, builders, contractors, and building owners. As Technical Director for Spray Polyurethane Foam Alliance (SPFA), he oversees the SPFA’s Building Envelope, Roofing and Safety Committees, which develop technical documents for the SPF industry. 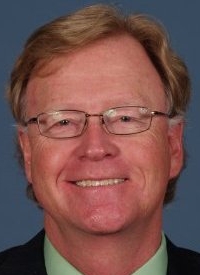 His role as technical consultant for the Spray Foam Coalition includes advising their Research and Codes and Standards workgroups, as well as managing a portfolio of research projects. 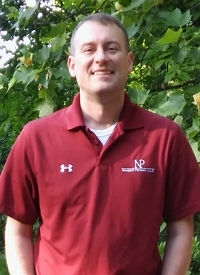 He holds a Ph.D. in engineering science and mechanics from the Pennsylvania State University, a Master of Science in mechanical engineering from Bucknell University, and a Bachelor of Science in mechanical engineering from the University of Maryland. Rick is a registered professional engineer in Pennsylvania and is a certified building analyst from the Building Performance Institute, Inc.
Laura Dwyer became the Global Innovation Leader in January 2018 for DowDuPont, a $1.3 billion material and building science supplier to the construction industry. Prior to 2018, she led the Global DuPont™ Building Knowledge Center, an international network of experts who help members of the building industry navigate the changing future. Central to her role was harnessing the knowledge and skills of DuPont construction professionals to deliver enhanced value to customers by sharing best practices in building science and application knowledge. Laura has been involved in NAHB's Green and Energy Subcommittee and is an executive director for the Energy and Environmental Building Alliance board of directors. She is a multiyear committee member for NAHB's Construction, Codes, and Standards Committee and supports NAHB's Professional Women in Building organization. 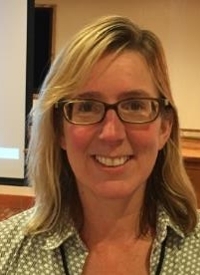 Laura serves on the Board of Trustee for the Home Building Institute and led the RESNET training committee that created the Home Energy Rating System (HERS) Associate designation. She also serves on the Board of Advisors for the Housing Innovation Alliance. Laura earned her Bachelor of Science degree in chemical engineering from North Carolina State University and her MBA from the University of Delaware. 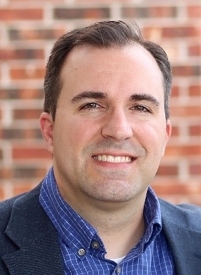 Joe Nebbia is a national building codes and building science expert with 16 years of experience in policy and regulatory analysis, including more than 12 years spent working on buildings- and construction-related issues. He develops and conducts code trainings in multiple states, and operates a code technical assistance service in Maryland and New York. 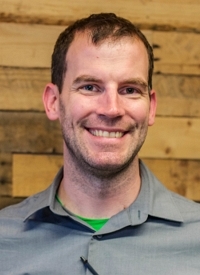 He serves as the Operations Director for the DOE Zero Energy Ready Home program and performed the same function for the predecessor program, the U.S. Department of Energy (DOE) Builders Challenge. 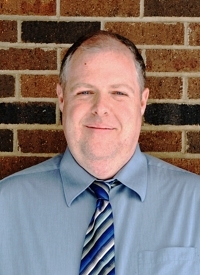 Tom Tishler is the Director of Construction for Kalamazoo Valley Habitat for Humanity in Kalamazoo, Michigan. He has more than 20 years of experience in the residential construction industry, with a focus on custom home projects. He is committed to building affordable, high-performance homes that are safe, efficient, durable, healthy, and affordable to operate. He earned his Bachelor of Arts in philosophy from Western Michigan University with a second major in wood technology in 1999. He is also an NAHB-certified Green Building Professional, and takes pride in designing and building homes that have less negative impact on the environment than most standard new homes. Under Tom's leadership, his organization has won two Housing Innovation Awards from DOE's Zero Energy Ready Home program; the latest winning the Grand Award in the affordable/non-profit category in 2018. Marcus Bianchi is a Senior Building Science Program Lead with Owens Corning where he performs building science research. Prior to Owens Corning, he was a Senior Research Engineer at NREL where he conducted research on deep energy retrofits of existing houses. Marcus has worked on energy efficiency for more than 20 years. 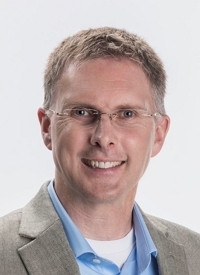 His research experience includes topics related to thermal sciences, such as building envelope thermal management, fault detection, and diagnostics of HVAC equipment, materials processing, and bioengineering. Marcus received his Ph.D. in mechanical engineering (heat transfer) from Purdue University and is a licensed professional engineer in Colorado. Lance MacNevin is the Director of Engineering for the Building & Construction Division at the Plastics Pipe Institute (PPI). PPI's expertise is on plastic pressure pipes such as CPVC, PE, PEX, PE-RT and PP. Lance has been in the plastic pipe industry since 1993, involved with hydronic radiant heating and cooling applications, geothermal ground loop piping systems, plumbing, and fire protection systems. In addition to technical research, advocacy, and training, Lance also works with mechanical codes and piping standards. He is a member of ASHRAE, the American Society of Plumbing Engineers, ASTM International, the American Water Works Association, CSA, International Association of Plumbing and Mechanical Officials, RPA, and UL Standards, serving on technical committees within most of these organizations. Gene Myers is the owner and CEO of Thrive Home Builders. By virtue of our unprecedented six-in-a-row Grand Awards for Housing Innovation from DOE, Thrive is among the nation’s foremost builders of high-performance homes. Every Thrive home is built Zero Energy Ready, LEED certified, and Thrive is Denver’s largest builder of the U.S. Environmental Protection Agency’s Indoor airPLUS-qualified homes. Although Thrive ranks 140 on Professional Builder Magazine’s Housing Giants Rankings and operates in the Denver market amongst 14 of the top 20 homebuilders on the list, Professional Builder Magazine named Thrive Home Builders their 2017 Builder of the Year. Gene’s career in urban development spans more than 30 years—from a civil engineer in the U.S. Peace Corps in the early 1970s to starting his own homebuilding company in the early 1990s. 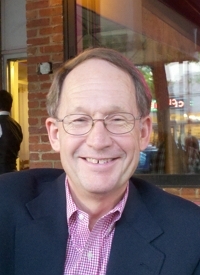 Gene is known as an advocate for smart growth and affordable housing. He frequently speaks locally and nationally on these topics. Andrea Traber has more than 25 years of experience as Project Architect and Principal on numerous projects and programs. As Sustainability + Resilient Design Leader of Integral Group, Andrea focuses on accelerating innovation and our collective response to climate change through sustainable master planning, resilient community design and asset strategy, high-value and performance-driven building design, and low-carbon and net-zero development. She works with clients in the public, institutional, and private sectors. Magnus is the Director of Product Marketing for SolarEdge North America, a global leader in smart energy solutions that address a broad range of solar market segments. 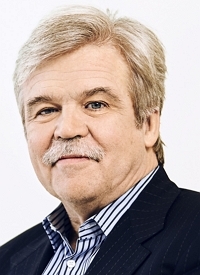 Magnus has three decades of experience in solar, telecommunications, and semiconductor industries. His background includes over eight years of managing inverter products at SolarEdge and other renewable energy companies. Prior to that, he managed carrier telecommunications products at Siemens and Nokia. Magnus holds an MBA from Berkeley’s Haas School of Business, and a bachelor’s degree in Electrical Engineering from UC Santa Barbara. Jaque Camp is an architect and Senior Associate at WRT, an architecture, planning and landscape architecture firm in Philadelphia. For more than 20 years, her career has focused primarily on multifamily affordable housing, with an emphasis on high-performance buildings. She is a LEED AP with specialties in building design and construction and in neighborhood development, and serves on the Location and Planning Technical Advisory Group for the U.S. Green Building Council. 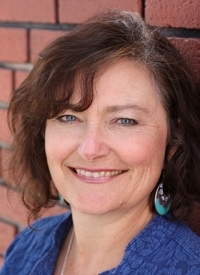 Jaque is also a certified passive house designer, and has worked on the design and certification of both LEED and passive house multifamily projects. She also serves on her local planning commission and teaches at Harcum College. 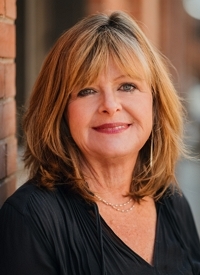 Susan McFaddin is a zero-energy developer and broker in Northern Colorado. 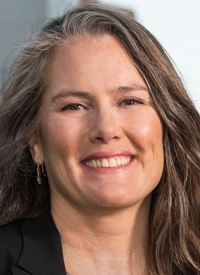 She developed the first LEED-NC (New Construction) Platinum Office Park and certified the first LEED-EB (Existing Building) building in Fort Collins, Colorado. She was the development consultant on DOE’s grand prize award-winning zero energy development, Revive, in Fort Collins. 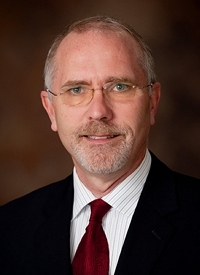 David Olson is Vice President at PCD Engineering Services, Inc. He is a longstanding member of the Denver, Colorado, HVAC community. He owned and operated a full-service mechanical engineering firm for more than 30 years. 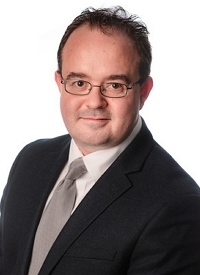 At PCD Engineering Services, he works primarily in the forensic engineering realm, predominantly working for attorneys practicing construction defect law. He is responsible for quality control for all mechanical projects at PCD, and also performs many building code reviews for local jurisdictions and the state of Colorado. He is currently a voting member of Colorado’s Electric Board. He has also been an active member of ASHRAE since 1979, and has served on the board of directors at all levels of society. He received the ASHRAE Distinguished Service Award and was honored as an ASHRAE Fellow in 2016. 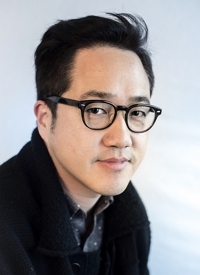 Calvin Ahn is an Associate Principal and Senior Project Manager at Ashley McGraw Architects, D.P.C. He is a leader in sustainable design and believes a building’s performance is measured not only in the energy savings it achieves, but also how it makes people feel. 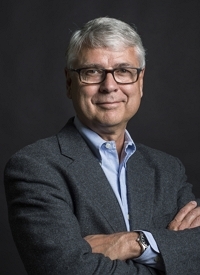 He helped design the LEED Platinum Syracuse Center of Excellence, LEED Gold Coyne Science addition at Le Moyne College, and Binghamton City School District's new MacArthur Elementary School (targeting LEED Platinum). Ahn holds a Master of Architecture from Syracuse University, and a bachelor’s degree in environmental studies from the University of Southern California. Shannon Oliver has a Bachelor of Science degree in environmental health from Colorado State University and a Master of Public Health degree in in global environmental health from Emory University. 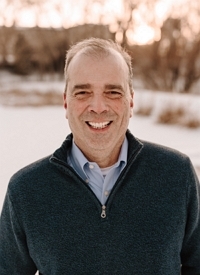 His professional experience includes 8 years of environmental and regulatory compliance for the oil and gas industry and more than 3 years as an Energy and Sustainability Manager in the K–12 sector in Colorado. Shannon's recent work focus has included energy use analysis and tracking, climate inventories, and water conservation. A key project for his school district was opening a new K–8 school that is zero net energy ready, with a target Energy Use Intensity of roughly 26 kBtu/ft2. Sean Quinn leads the sustainable design practice of HOK's Pacific region and coordinates performance design services across the firm. He directs the studios’ integrated design approach to guide the application of sustainable strategies, including energy and environmental performance, resilience planning, and green building certification. 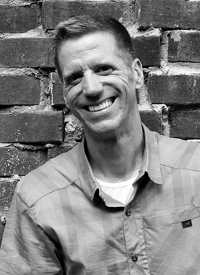 With 15 years of architectural experience focused on sustainable design, Sean has led and assisted the design of diverse building typologies and large-scale urban design projects throughout North America, Europe, Africa, the Middle East, and Asia. Sean complements his design practice with research in innovative building systems and fabrication, parametric design, and biomimicry. In his role as a mechanical systems engineer, Alex Warring designs mechanical systems such as chilled water systems, heating hot water systems, air handling units, air distribution, radiant systems, and more. As a commissioning and field services engineer, his responsibilities have included writing and performing tests for building systems. He is a licensed mechanical engineer in California. He lives with his wife and their dog in the Denver metro area. In his free time, he enjoys trail running, biking, and swimming. C. Keith Boswell, FAIA, Technical Partner for SOM’s West Coast offices, orchestrates and oversees detailed design and construction documentation for all West Coast projects. Since joining SOM in 1981, he has worked on high-rise office buildings, government facilities, residential and mixed-use complexes, and international and domestic airport passenger terminals. Keith is a specialist in designing and executing technically complex building systems, such as exterior enclosures, curtain walls, elevator and vertical transportation systems, and special construction. He is actively engaged in the research and application of materials and systems for use in SOM designs. He is the author of the book, Exterior Building Enclosures: Design Process and Composition for Innovative Facades, which was published June 2013 and addresses the design and execution of sophisticated exterior envelopes. Some of Keith’s recent project experiences include; Moscone Convention Center Expansion, SeaTac International Arrivals Facility at SeaTac, 49 South Van Ness, Block 9 Residential Tower, U.C. Hastings School of Law, 350 Mission Street, the Cathedral of Christ the Light and the San Francisco International Airport—all in the San Francisco Bay Area, the New United States Courthouse and UCLA Geffen School of Medicine in Los Angeles, and 111 South Main in Salt Lake City Utah. 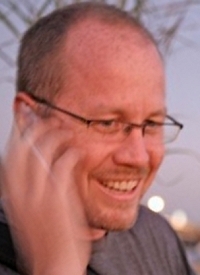 Keith has led SOM’s services for the U.S. Embassy Beijing, U.S. Embassy Beijing NOX, New United States Consulate in Guangzhou, the Consulate in Dhahran, Saudi Arabia, and is leading the Embassy in Windhoek, Namibia. Keith’s recent international work include: Ningbo Guohua Financial Tower in Ningbo, LJZ 2-16-1 in Shanghai, and the Poly International Plaza in Beijing, China. Dawn De Grazio has more than 30 years in the lighting industry, working mainly as a lighting specifier and lighting educator. As a volunteer member of the Illuminating Engineering Society (IES) for more than 30 years, Dawn served on several committees and was a recipient of the IES Distinguished Service Award. In 2016, Dawn joined IES staff as Technical Editor. 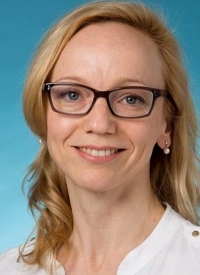 In this role, she reviews and edits IES technical documents for technical and English language correctness and appropriateness with respect to the particular publication. In 2004, Kimberly Llewellyn went back to school for engineering to join in the fight for the health of our beautiful planet. How we design, construct, and live in our built environment has a tremendous impact on our global ecosystem. Her background in environmental engineering has been put to use in the construction industry since 2010 when she worked as a mechanical designer and educator on the subject of VRF and healthy, integrated mechanical system design. Field work as a HERS rater and building failure consultant shaped her holistic, field-based perspective. Because she feels it’s crucial to balance theory and practice, she keeps her boots dirty, holds skilled trades in very high regard, and refuses to gloss over inconvenient field realities. For the past two years, she has been with Mitsubishi’s Performance Construction Team, which is committed to providing healthy, efficient, and reliable mechanical solutions to the hig- performance building market. She is also currently a voting member on ASHRAE 62.2 and is a Passive House Institute U.S.-certified consultant. Marcin is the Technical Director for Polyisocyanurate Insulation Manufacturers Association (PIMA). 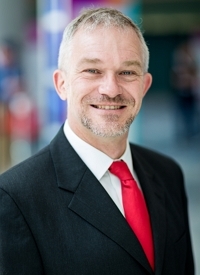 Marcin coordinates all technical-related activities at PIMA and serves as the primary technical liaison to organizations involved in the development of building standards. He holds a doctoral degree in mechanical engineering from Syracuse University and, over the course of his career, has worked in building science with a focus on evaluating energy and moisture performance of building materials and building enclosure systems. Marcin has expertise in building enclosure and product manufacturing encompassed-research, testing, product conception and development, and computer modeling/analysis.